A French mayor is in hot water from both officials and his town’s residents after launching an advertising campaign featuring the “new friend” of the local municipal police – a 7.65 caliber handgun. “From now on the municipal police have a new friend,” the giant posters placed around the town read. 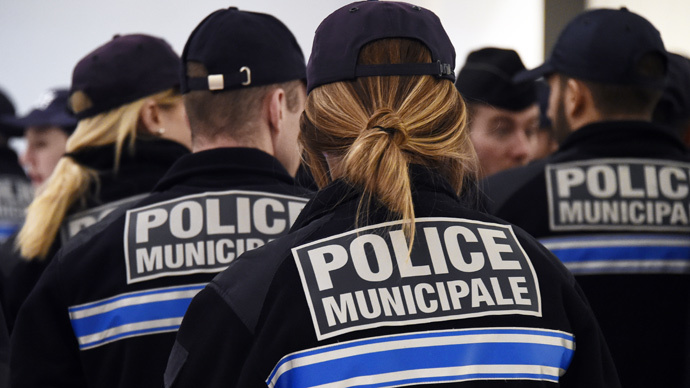 Municipal security forces in France can carry firearms, however, not all of them do: to allow this to happen, the mayor usually files a request, which then should be approved by the federal authorities. Political activist and author Pierre Schweitzer told RT that he sees two points to the issue: one is the usual degree of controversy that surrounds Menard’s name and a pledge he made during the campaign. “It is extremely provocative, but it was the original intention of the mayor. During his campaign, he promised to give guns to the local police, so he had to keep this promise,” said political activist and author Pierre Schweitzer. The second point is that “there is definitely a fear of crime that is probable higher than the crime rate itself” due to the context, especially the attacks on Charlie Hebdo. It is by no means the first scandal for Robert Menard: the far-right mayor of southern French town Béziers is known for having prohibited halal meals in municipal cafeterias and imposing the curfew on all the kids under 13. Interior Minister Bernard Cazeneuve has described the ads as having a “deliberately provocative tone,” while Elie Aboud, the conservative local MP, said Ménard was considering Béziers as the “Wild West,” France 24 reported. Locals also spoke out on the matter on Twitter and Facebook, with the majority agreeing that the posters would be more suitable in the Wild West than a town in the south of France. “Béziers, it’s the wild west, with its cowboys,” tweeted SofiaA1007. People also posted all sorts of objects with the same caption: from liquor bottles to RoboCop pictures.